Social media has become more than an interactive platform for people, previously individuals use to connect to their friends and families, share their ideas and personal lives. But in the present, it has become a major source of the channel for big and small brands to promote themselves, reach out to their customers on a personal level, and build their brand with them. Nowadays, almost every major organization has a well-developed social media team like any other team. It is not just the marketing but it goes beyond that i.e. building the sustainable relationship with your customers. A smaller organization may also hire one or two people to work on their social media. It is interesting to note here that, now companies spend a major part of their marketing budget on social media marketing. 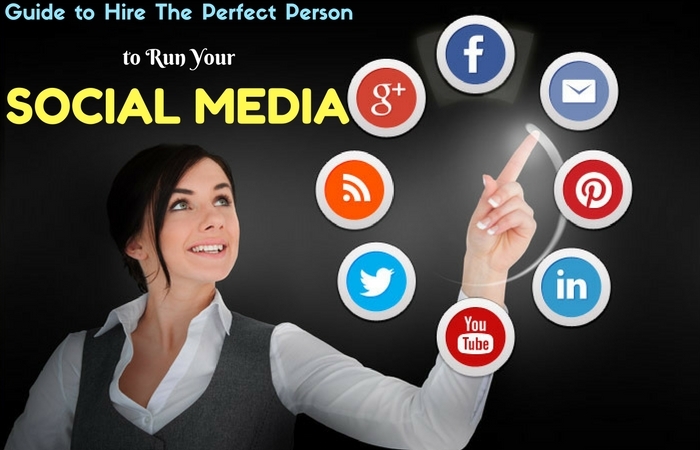 Therefore, it becomes equally important to hire a perfect social media manager, who can handle the social media platforms effectively. Content marketing is an important skill for any social media manager, everything that works on the search engine is content based and to reach out to the people or be on top of the search engines. Creating an effective content is essential to reach out to the maximum people and the ability to generate more traffic to the desired website. It is the viral content that is the need of the time. Spreading this content through social media also requires intensive planning and understanding of customers presence on the digital platform. Every social media channel is known for different reasons, and a social media manager needs to know how each and every channel works. For example, Twitter is one of the most highly interactive and responsive channels as compared to others. Writing a good content in 140 characters to speak your mind is totally different when compared to Pinterest, this platform is more visual based. Hence, a social media manager needs to understand when and how which platform is to be used for the brand to reach out their target customers, and which of this channel, in turn, will bring more traffic or business to the organization. Social platforms are highly vocal where everyone can share their mind and opinion. It is also the fastest way for the news to travel across the world in seconds. Therefore, it is important for social media manager to know the current trending news and use it wisely in relevance with their brand. Sensitivity to the news and opinions becomes equally important as a job role. The trending news is essential in any social media marketing because it will be the topic most talked about among the people. Hence, while people will be looking for various reliable sources for the information on given topic and accordingly a good social media manager will know it to be a right timing to reach out to people. Everyone likes stories; therefore, it is important for a social media manager to know how to tell a good story. The attention span people of these days is very low, nobody likes to read long and boring articles or information. Hence, creating interesting ways to reach out to people becomes really important. For a social media manager, it is important to create short stories, which many not talk about the brand but is easily relatable to it. A good story is the best way to engage with the people and it allows them to share it with others, which further increases the reach of the brand. There is so much content available on the digital platforms, it is hard to get the attention of the people with so much on to it. A social media manager needs to have a good eye for detail and requires the good understanding of the information that needs to pick among the vast ocean of content. Further, they need to create or recreate the content as per their target consumers. All of it requires a quick judgment and understanding of which content to be picked and which to be not. Analysis is another important aspect of any social media manager, understanding which content is working better and which is not is extremely essential. It requires analysis more than that of data chart; it also requires strong intuition to have an understanding that which content may also have the possibility to be successful. They also need to incorporate various analytical softwares to get the right information on the popularity of the content. It requires constant track and analysis to figure out the next best step that can be taken to reach to the maximum number of people. Multitasking is of extreme importance for any social media marketer; they need to be good at a bit of everything. They need to know how to write well and crisp content or have the basic knowledge for graphics, they need to have a strong analytical skill, also an aspect where they need to understand what can be done next. They need to be highly proactive because a social media manager needs to use the right content and reach out to their target customers before their competitors reach them. A strong way for detail is required; skills like good grammar also become essential for them. They also need to be sure and right about what they are posting on these platforms otherwise, the chances are high of them being trolled for all the wrong reasons. Social media platforms is highly effective due to the fact it is a one on one communication based, also it is a two-way communication that takes place there. If a customer has a complaint or a compliment to share, they can easily reach out to the brand through a tweet or a post on their timeline. Therefore, a good customer interaction comes in handy here, where a social media manager needs to be proactive and respond to the customers immediately and assure them of the issues to be resolved. It is important for the social media manager to be highly customer centric, an understanding of the requirements of the people, their need and wants. Along with that immediate response leaves a positive impact on them too. Social media manager is someone who is the voice of the company, they need to have the best knowledge about the company or an expert on the information. Because they are the ones who share the brand information to the people who may not be aware of the brand or may have less knowledge on it. They need to first go-to person for anyone with any social media concern. They need to be interactive online and offline, online because they are the ones who share the information with the people, while offline it is important because they need to talk to their colleagues to know what is happening or the developments that are taking place within the organization. If there is something which can be promoted on social media then use it best for the brand promotion. Social media marketing is a continuous form of marketing, it is totally different from the traditional form of marketing. A social media manager requires being someone who can think of good ideas from the most mundane things of life. Even while walking or doing something really small can bring ideas to his or her mind. Because a simple yet effective idea is about connecting with people which are the whole idea behind how the social media works. A small task may bring about the best idea which needs to be able to connect with people. Social media marketing is not just one person’s job, it requires a whole team to work on it. It is not easy for one person to write many blog posts and consistently promote them on various social media platforms. Now there are so many platforms with different target customers choosing to be on them, their analytics are different from each other that, in the bigger organization it takes one person to handle one channel completely. Therefore, it is important for social media manager to be a strong team player, they need to listen to the newer ideas their team brings into it. Because everyone has different analytical capabilities and one may never know which idea may bring more traffic than the other. Social media marketing is something which takes place 24 hours in a day, 7 days a week and 365 days of a year. It never stops, even when the person is sleeping or may not be aware, social media keeps on buzzing with information and news. It is an added feature for a social media manager to be able to work round the clock, this work goes beyond office hours, and they need to manage their time better than others do. It may sometimes make a person insomniac, but it is good for those who are truly passionate about this, marketing on a various digital platform is the combination of art and science, with added passion. Everyday there is one or the other development happening in the field of social media marketing. Therefore, it is essential for a social media manager to be extremely passionate about his job. They need to be updated on the current happenings, new ways of social media marketing. They need to subscribe to various blogs, newsfeeds, learning about every small change that may be taking place. All this can happen only when someone is really passionate about social media channels and marketing. They require updating their knowledge from time to time and are highly proactive to capture the available opportunities before anyone else does. The important factor of social media marketing is that there are no rules to understand or to learn of marketing a brand. There are no major books written on it too, it is a highly experimental form of marketing where a social media manager experimented with various ideas, understands which will work and which may not. Because if one idea or concept is working for someone, it is not necessary will work for other too. Therefore, it becomes important for social media manager to keep on trying with new ideas, later keep a track on their performance and who were to move ahead with some ideas and when to stop with few. Being a multi-tasker, a social media manager needs to be highly organized with everything they do. From their ideas to tasks, they need to know the system well and when to share the content. All of it becomes equally important. Scheduling the content, being updated on the current affairs, there is too much for one person to look into the details. Therefore, it becomes essential to be organized. Having a certain work structure and flow provides the clarity to the work that is being done, also it makes it easier for the team to understand what is required to be done. Being organized makes the work easier and it is done in a highly effective way. Hiring a good social media manager is an important aspect of marketing these days, which can’t be ignored anymore. The digital form of marketing has truly changed the face of businesses that takes place. Now it has become easier for many kinds of businesses to be known and increase their business without spending an unncessary amount of time and money as it is in a traditional form of marketing. But to generate effective revenue, it is good to have someone with good knowledge and experience who can make social media marketing easy. Who can also understand how the competitive brands are functioning online and figure out a better way to stay ahead of the competition.